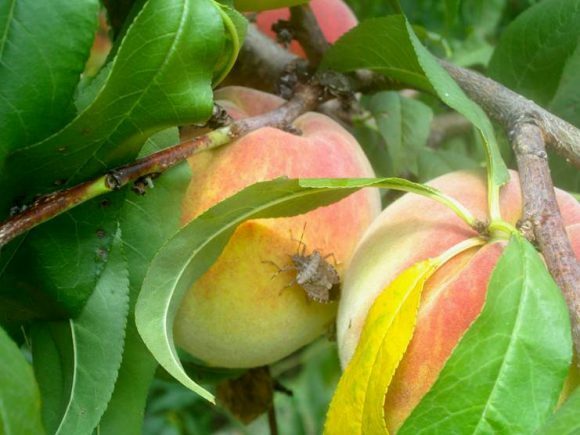 Share the post "Julie Lockwood contributes expertise in biological invasions and their impacts within North America"
Brown marmorated stink bug on peach. Photo: Anne Neilson. Does biodiversity really matter to human well-being? 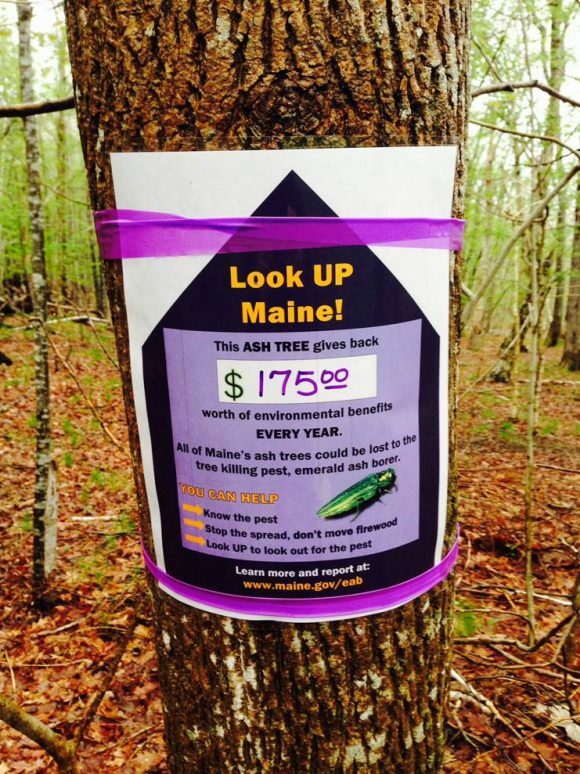 ‘Look up’ emerald ash borer sign. Photo: National Park Service/J. H. Connery. One of the pillars of the United Nations program in sustainability is the need to preserve terrestrial and aquatic biodiversity because intact ecosystems provide critical services to human societies. As a part of that program the UN established the Inter-Governmental Science-Policy Platform on Biodiversity and Ecosystem Services . This UN directorate has several functions, but a key component of their work is to assemble experts to produce periodic biodiversity assessment reports. Julie Lockwood, professor in the Department of Ecology, Evolution and Natural Resources, participated as a Lead Author on the Americas Assessment chapter titled “Direct and indirect drivers of change in biodiversity and nature’s benefits to people in the context of different perspectives on quality of life.” Dr. Lockwood contributed her expertise in biological invasions and their impacts within North America. The native biodiversity in the Americas makes a large contribution to human quality of life, making the threat of invasive species to native ecosystems of critical importance to maintaining these services. The Americas Assessment, and those covering other regions, represent the collective knowledge of over 100 world biodiversity experts and thus represents a best-evidence document to guide policy and decision-makers. The America’s assessment is set to be launched and approved in March of this year, with a comprehensive across-regions assessment due to launch in 2019. The regional and global efforts will produce the first global accounting of the state of biodiversity since the 2005 Millennium Ecosystem Assessment.